At this year's SuiteWorld conference, we heard about new developments and numerous customer examples showing how NetSuite enabled their growth. Ready, Set, Grow! That was the tagline for this year’s SuiteWorld conference. Yes, it is a bit corny, but it is backed up by results. Jim McGeever, EVP of the Oracle NetSuite Global Business Unit, told us that NetSuite’s customers’ revenues grew an average of 17% last year, almost triple the average 6% growth for S&P 500 companies and more than double the average 8% of MSCI Emerging Markets companies. 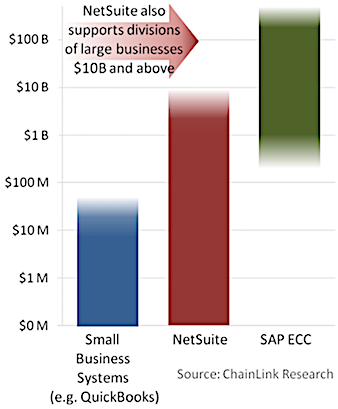 In The Cost of Delay we wrote about NetSuite’s unique ability to scale from the smallest companies, with fewer than 10 employees, all the way up to multi-billion dollar global enterprises (see Figure 1). SuiteSuccess is NetSuite’s program for rapid implementation, using industry-specific successful practice blueprints. These blueprints are comprised of industry-specific configurations, based on past successful implementations, including things like system-to-system data mappings, user roles, and role-specific workflows, business rules, dashboards, reports, and analytics. Together these capture the practices and particular ways of doing business that have proven to be successful within specific industries and sectors. Part of the concept is to start with the basics, and then incrementally add richer functionality by implementing additional NetSuite modules, partner integrations, and doing customization as needed. At ChainLink, we refer to this as starting with the MVI (minimum viable implementation).1 NetSuite uses a stairstep visual analogy to adding functionality a chunk at a time, rather than all at once. For example, a company might start with core ERP, then add WMS, later adding eCommerce, and so forth. The very first SuiteSuccess edition was launched in 2016 (for more on that see Agile ERP: Continuous Improvement Through Rapid, Incremental Implementation and Value Realization). Now, just two years later, NetSuite has 33 SuiteSuccess Editions across 14 Industries. 84% of new customers are using SuiteSuccess and are achieving 60% faster implementation times. In NetSuite’s Q2 2018 release (version 18.2) they are launching three new additions of Suite Success: Food and Beverage, Health and Beauty, and Emerging Retailers. NetSuite launched SuiteCommerce Advanced in 2013 as a way for customers to create sophisticated, ‘custom-fit,’ ‘pixel-perfect’ websites. Now they have added SuiteCommerce as a ‘stairstep’ in each of the SuiteSuccess editions. Using the SuiteSuccess principles and approach, they created a blueprint version of SuiteCommerce that is tailored to each vertical and micro-vertical, so that their customers can get up and running quickly, typically within 45 days. McGeever said that those of their customers who are using SuiteSuccess are achieving even higher growth rates, averaging 24% revenue growth last year. In Evan Goldberg’s (founder of NetSuite) keynote address, he laid out five ‘keys to growth’: Automation, Insight, Control, Agility, Collaboration. The topic of automation comes up again and again with conversations I’ve had with NetSuite clients. Their employees are relieved from the grunt work of manual repetitive tasks. Just as important, automation reduces errors and all the extra work resolving those unnecessary errors. In case after case, NetSuite’s clients have told me how much they were able to grow their company without increasing headcount. The second key was Insight. Here automation, and having all the data together in one system, one data model, give NetSuite’s customers better visibility than manual or disparate systems. They have also been working on building out analytics, and Evan said they are starting to invest in AI/machine learning (more on those below). The third key to growth Evan mentioned was control. As a company moves from having a handful of employees to having hundreds or even thousands of employees, it is really important to have the financial controls, auditability, regulatory compliance, and the ability to communicate and enforce company policies. Without these controls, a company faces many risks as it grows. The fourth key was agility where NetSuite brings a couple of things to the table. First, their cloud/SaaS architecture helps companies keep up with new technology and capabilities, rather than being stuck on old revs. I have also often heard NetSuite customers praise the customizability of the platform, the ability to make it do what they want, and for those customizations to continue working whenever new revisions of the systems are rolled out.2 Regarding the fifth key, collaboration, the point Evan made was that collaboration requires everyone being on the same page, something NetSuite accomplishes by integration across functional silos. These days even small companies are sourcing and selling internationally. In fact, overseas business is often a critical element of growth for companies. Conducting business across borders is complicated, involving myriad jurisdictions’ regulations, complex tax rules and rulings, harmonization coding of imported and exported goods, all kinds of customs and security regulations and filings, different languages, formats, and cultural norms. Multiply that times dozens of countries and it becomes extremely difficult for a small or medium business to deal with and still stay out of trouble. Meeting these challenges is one of the main reasons NetSuite implemented OneWorld. I asked Jim McGeever about China. 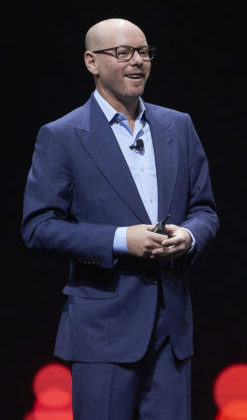 He said “we had zero presence in China prior to the acquisition” [referring to the acquisition of NetSuite by Oracle about a year and a half ago]. Now China is their fourth largest market and he predicted that next year it will probably become their second largest market behind only the US. That is a phenomenal rate of growth. 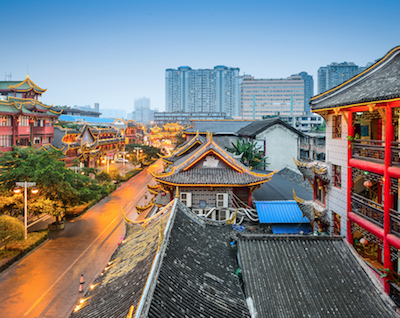 China is a notoriously difficult market to enter, and many have stumbled trying to go there. NetSuite’s success was made possible by OneWorld (including China localizations) and it is a testament to the flexibility of the platform and speed of implementations. But I think the most important factor enabling this growth in China was the strong existing presence on the ground that Oracle has developed over several decades. It normally takes many years to understand a market like China and develop those relationships. Oracle already did that work. At last year’s SuiteWorld, when NetSuite was explaining the rationale for the acquisition, they said that they would leverage Oracle’s global footprint to expand NetSuite’s geographic presence.3 Though initially skeptical, for me, this rate of growth in China validates the assertion they made last year. Inventory Management—They showed an inventory application that allowed the user to view the BOM4 of a specific AC unit model and drill down into each subassembly to see the amount of inventory for that subassembly by location and in aggregate across the network. They were able to see the breakdown by status of each part/assembly; how many were pending inspection, good, damaged, or quarantined. Mobile WMS—We saw a mobile version of WMS (warehouse management system) used to scan and receive a shipment, change the status to ‘pending inspection.’ The app confirmed that all items for that PO had been received. The application also provided functionality for putaway, pick, pack ship, inventory counting, and other WMS functions. It had a clean, simple, and intuitive UI, like we’ve come to expect from the best of our personal phones’ apps. Quality Management—Quality Management features were demoed on a tablet. The quality inspection could be done at the supplier, or at the buyer, or even by a third party inspection firm logging into NetSuite. The application shows locations, items, age, current status (such as quarantined), and priority of the items waiting for inspection (in this case between zero to four). They used the application’s filtering capabilities to find the item that particular inspector needed to inspect next. Then they recorded the results of the inspection. In the demo, the item did not pass inspection so they took a picture to show the problem, changed status to quarantined, and the system generated an email requesting an ECO (Engineering Change Order) to be created. Engineering Change Order—The ECO screen allowed the user to enter a description of the problem, the type of change (e.g. design change, etc. ), and recommended action (remove, replace). The tool also showed the impact on inventory. Once approved, the BOM was updated and the system generated a set of reminders for each of the steps needed to execute the ECO: requesting QA to increase the frequency of inspections, procurement to order replacement parts, and the documentation department to change the documents for this machine. NetSuite also maintains different types of BOMs throughout the lifecycle of a product, such as ‘as designed,’ ‘as built,’ and ‘as serviced’ BOMs. To users of best of breed systems supply chain systems, these may seem like fairly basic capabilities. However, for small and medium businesses who are transitioning from manual, paper-based processes, these represent a meaningful step forward towards becoming a digital business with a digital supply chain. Kristin Swenson, NetSuite’s Industry Marketing Lead for Wholesale Distribution, hosted a panel with three manufacturers and distributors that are using NetSuite to run their companies, their supply chains, and their omnichannel operations and user experiences. 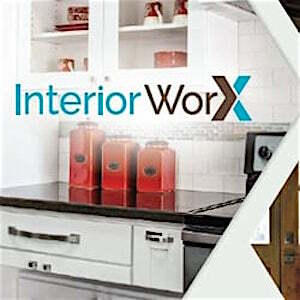 We heard from David Lindmeir, CTO of InteriorWorx, a manufacturer and wholesale distributor that provides specialized services, working with residential and commercial builders to provide complete interior finish packages including products, installation, and service. Their services include design and selection of various interior finish options such as appliances, cabinets, flooring, lighting, doors and trim, and so forth. They use NetSuite to help manage the complexity of their business, such as dealing with materials suppliers in China and managing over 100,000 SKUs and product variants that they offer. They are now in the process of implementing NetSuite WMS, to move off of manual processes, reduce errors, and increase velocity. He said NetSuite is key to helping them grow. We also heard from Christine Bates, the Senior Director of Supply Chain and Procurement for Sugar Bowl Bakery, who makes baked goods at two manufacturing plants in the San Francisco Bay area. 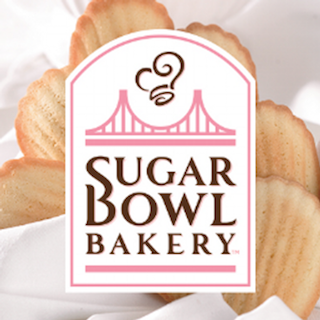 Sugar Bowl Bakery (SBB) sells to many retail chains nationwide including Costco, Albertson’s/Safeway, WalMart, Kroger and others. They too use NetSuite to manage complex supply chain requirements such as forward and backward traceability, compliance with food safety regulations, and quality management. They have been a user of Netsuite since 2010 and went live with Advanced Manufacturing and Quality in January of this year. They are SQF Level-3 certified (the highest level) which includes HAACP planning and comprehensive implementation of safety and quality management systems. Implementation of NetSuite’s Quality platform helped them cut in half the time it took them to do a mock recall. They will be using the inventory status functionality and will have it integrated with their existing WMS system currently being implemented. SBB is planning to implement forecasting and advanced procurement as well. They have had double digit growth for the past four years. Christine said they implemented NetSuite so they could keep growing their business and build out additional plants and warehouses. Jennifer Horstmann, CFO of Hincapie said they were founded by professional cyclists to manufacture and sell cycling gear. Customer experience and relationship is critical for them. 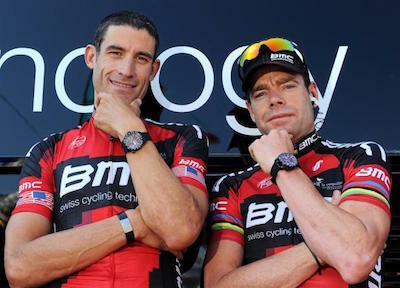 They host and operate cycling events to develop and deepen those customer relationships. They use a separate platform to organize and run their cycling events and they plan to integrate that into NetSuite as well. Jennifer said NetSuite has enabled them to enhance their omnichannel experience, through things like the ability to order custom cycling apparel online, guiding the customer through the process, bringing in the customer representative as needed into the workflow. NetSuite gives their marketing team visibility into buying patterns and buying history which provides them with the intelligence to optimize email and social media campaigns. We heard about SuitePeople from Hanif Ismail, VP Strategy and Product Management. SuitePeople was launched last year with core HR and payroll. It is now used by over 600 customers. It includes an HR dashboard to see reminders of actions, KPIs, and headcount analysis. SuitePeople has integrated recruiting and hiring, employee onboarding (checklist of everything that needs to be done and who is responsible for each item), and a payroll dashboard (in beta). Coming soon are extensions for manufacturing, wholesale, and retail, and more support for part time and contingent labor, providing a unified view across all types of workers. NetSuite has added query, pivot, and chart capabilities to SuiteAnalytics (currently in beta). The GA (general availability) release will have calculated fields in pivots, provide a pivot API, and improved charting. The next release will have analytic apps, intelligent pivots, intelligent charts, complete data coverage, and a chart API. NetSuite is also building analytic applications, with prebuilt content. They showed an example of a sales analytics application with a dashboard that included total sales, tables, and charts which could be drilled down in different dimensions. In addition, NetSuite is looking at ways to apply AI and machine learning to leverage anonymized rich data from financials, supply chain, services, billing, ecommerce, and other data across their 40,000 customers. They are looking at providing insights such as predicting which customers are most likely to default, how long a project is going to take, and many other scenarios. In addition, they want to use AI/ML to automate more tasks and provide more intelligent interactions, reduce the time spent filling out forms, and make searches smarter. Other examples included predicting risks of inventory shortages and providing recommendations of alternate suppliers or locations to increase the confidence of on-time delivery; and an intelligent form assistant that will change the order and default value of fields based on the context. The next generation of dashboard will tailor itself based on the vertical and other context. At SuiteWorld, I had a chance to talk to Kelly Simons and Tom Hickerson who run IT for Ziosk, a manufacturer of kiosks for casual dining restaurants, such as Chilis, Olive Garden, Friendly’s, Red Robin, and other chains. The company was founded in 2007 and has about 160 employees. They have 170,000 kiosks deployed at over 4,500 restaurants across the US. 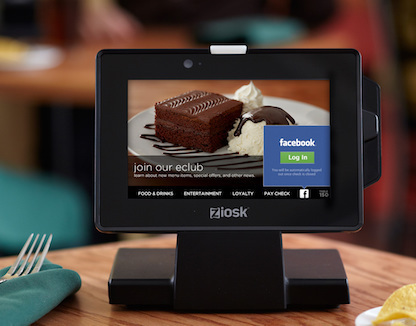 The Ziosk devices allows customers to browse and order from the menu and pay for their meal at the table without having to hand over their credit card. It also provides games and other content for entertainment while customers are waiting for their meal. Ziosk curates G-rated family-friendly content and has partnerships with Disney and Time Inc. to deliver premium content at a fee to the end customer. A portion of the premium content fee goes to the restaurant, providing an additional source of revenue in this traditionally thin-margin sector. Ziosk implemented NetSuite a little over two years ago. Before that, they were using QuickBooks and spreadsheets. Now they are using NetSuite for accounting, billing, AP/AR, purchasing, GL reconciliation, depreciation, CRM, and some simple project management. They are currently implementing PLM. With the larger chains comprising their existing customer base, Ziosk provides white glove service, doing customizations as needed. Ziosk would like to sell to smaller independent chains with 20 restaurants or less. To do that, they are creating and selling more standardized packages. Dealing with smaller customers requires more automation and here they expect to leverage their investment in NetSuite to enable that growth. They are also looking at other ways of growing revenue, such as monetizing all the data they collect and providing additional intelligence back to their customers. They are agnostic to the type of loyalty program their clients use. Ziosk gathers data points on loyalty customers, providing that data back to their clients. The device can ask the diner to complete a survey right after paying. The restaurants found survey completion rates to be as much as 30 times higher than conventional methods of requesting diners to fill out a survey.5 Currently, Ziosk provides basic reports such as relative performance of the wait staff, customers’ opinions about the service and specific food items, and so forth. They can also provide data to guide staffing decisions. Insights about each individual server’s performance enables performance-based scheduling, giving more tables and better shifts to the top performers. Also, by allowing customers to order and pay at the table, Ziosk increases server productivity and maximizes throughput at the restaurant to more efficiently handle peak traffic. They plan to provide more sophisticated analytics over time. Ziosk currently dominates this market, with only one competitor. They believe there is tremendous untapped potential to grow, both through additional national brands, as well as independent chains. Independent chains alone represent 166,000 additional locations. They are counting on NetSuite as their platform for growth. I also had the opportunity to talk with David Jarrell, Corkcicle’s first (and still only) IT person. The last time I spoke with the folks at Corkcicle, several years ago, when they had recently moved onto NetSuite, they had only four employees and outsourced just about everything. Their only product was the original Corkcicle, an in-bottle wine chiller now called Corkcicle Air. Now they have about 35 employees and sell canteens, tumblers, barware, and apparel. Founded in 2011, Corkcicle has generated breathtaking growth in a few short years. They continue to run all of their IT exclusively in the cloud. They started with NetSuite for core financials and ERP and then added SuiteCommerce Site Builder, Advanced Order Management, Demand Planning, and Inbound Shipment Management (they do a lot of container shipments). Corkcicle selects ground and ocean carriers, and tracks shipments across the water, through the port and customs, to one of their three warehouses, all with real-time updates. Upon arrival, they can receive the entire shipment at once. Corkcicle’s order management processes are complex. They sell largely to retailers and orders come from a variety of sources. Larger retailers such as Target, Bed, Bath, & Beyond, and Macys require their suppliers to take orders via EDI which Corkcicle does using SPS, integrated with NetSuite. In contrast, their number one vertical, Gift and Housewares retailers, exclusively uses sales agencies and sales reps to place the orders on behalf of the retailer. Orders come from the systems6 used by those agencies, rather than directly from the retailers. NetSuite is able to take orders from those systems using Dell Boomi, incorporating data from every field, properly categorizing each order, and then routing the order based on the source. Other specialty shops, like a surf shop or hiking store, are too small for EDI and will send orders in via spreadsheets. Now, retailers are able to enter orders via the website as well (the site was being rolled out the same week as SuiteWorld this year). NetSuite enables Corkcicle to create all kinds of customized rules for the orders, such as minimums and maximums, pack sizes (order must be a multiple of these), and so forth. They use SuiteFlow (workflow) to handle orders ‘from cradle to grave’ including order confirmation, credit card charges, and sending orders to their 3PL partner. This includes all kinds of data quality and completeness checks such as valid address, valid credit card information, and so forth. They are using the workflow to authorize the credit card three days before the ship date, so that if it fails, they are not sending an invalid order to the 3PL. David said “NetSuite has a fantastic order management system and inventory tracking capabilities. We process over 100,000 orders per year, including about 10% that are customized designs. That’s a lot for 35 people. With Epicor or MS Dynamics, we would need more people.” He also praised the ease of supporting remote employees with NetSuite, saying it allows them to hire the right people no matter where they are. Another thing I learned and admire about Corkcicle is their social responsibility—5% of all sales go directly to charity: water, a non-profit whose mission is to provide clean drinking water to the ~660 million people worldwide who live without clean, safe water. That is a major commitment of revenue. It’s heartening to see companies that are doing well by doing good. My experience and conversations at SuiteWorld, and in the past, confirm that NetSuite’s claims of helping their customers grow are more than just a slogan. Again and again, I’ve heard from NetSuite’s smaller and mid-sized companies how the system helped them to automate their operations, remove errors and waste, and provide insights into their business. NetSuite is in the middle of building out a solid set of supply chain capabilities. They already have really strong global, multi-division capabilities (OneWorld) and sophisticated unified revenue recognition that are helping manufacturers, wholesalers, and retailers to grow a global business. Whatever functionality is missing from NetSuite can be found from their integrated solution partners and/or by building SuiteScript scripts and SuiteFlow workflows. The proof is in the pudding. NetSuite’s customers are growing faster than the market average, with many examples going from tiny companies to hundreds of millions of dollars in revenue and beyond.